Plastic wood is a relatively new addition to the world, but is becoming far more popular. It’s easy to see why. It’s a commitment to environmental sustainability that also means longevity and quality. Businesses love plastic wood – as it hits green targets and initiatives whilst getting a sturdy wood-like product for their business. 2017 is the year of plastic wood, so we thought we’d take you through some of our favourite facts. We all know how important recycling is towards saving energy and natural resources. We want to encourage this as much as possible and have found a way to help our customers get the best product at the same time. It’s made from plastic waste but looks and feels just like wood. They’re both rot and maintenance free. It’s a far cry from the rotting wood which demands annual treating and staining. It doesn’t absorb moisture whatsoever – it simply wipes off. It’s also incredibly long lasting and can even be recycled at the end of its long lifespan. For those of you who are reading closely, you’ll notice we mentioned it looks and feels like normal wood. That means that you’ve seen and likely touched it and not even noticed! From doors, to benches – plastic wood is everywhere. The lifespan of our products is 50+ years. 50+ years of maintenance free enjoyment! This saves incredible costs over time. Seeing it everyday will make it seem like a of the member of team – it may outlast us all! We don’t have a factory full of benches, doors, sheds and gates. At Eco Plastic Wood, we create dreams – completely bespoke products across our entire product range. They’re made exactly how you want them . If it’s not in our product range, don’t worry – we can still do it! We’ve made some crazy products before so don’t be afraid to let us know! Our most popular product is the plastic wood door. That’s because we have a completely unique, secret manufacturing method. McDonalds have their Big Mac sauce – we have the plastic wood door. It can be used for sheds, outhouses or anywhere that has a door. If you have an idea though – don’t let your dreams be dreams . Already got a wooden product that has life left in it? Contact us and we can refurbish it with plastic wood – turning it into a sustainable, long lasting product. We hope we’ve enlightened you with some of our favourite facts about plastic wood. It’s far superior to wood for many different outdoor furniture products, we’re sure you’ll now agree! Is there anything else that shocked you that wasn’t mentioned here? Please let us know below. If not, we’ll see you next time on the Eco Plastic Wood blog. Festive recycling tips you never knew about! 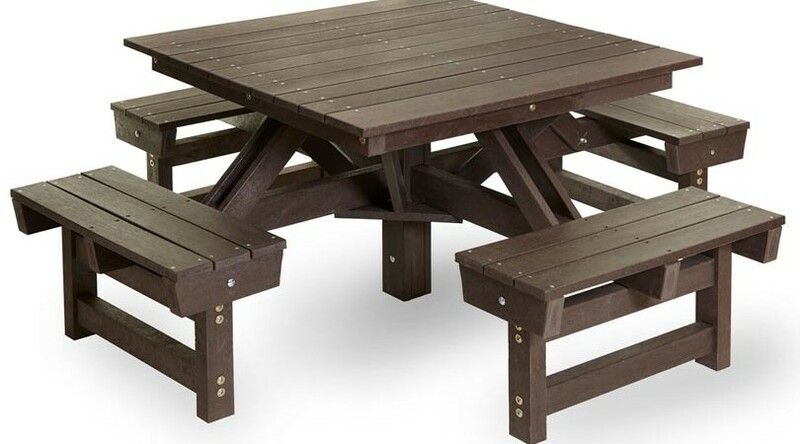 Eco Plastic Wood are dedicated to creating environmentally friendly, practical outdoor furniture. Copyright 2018 EcoPlasticWood.com All rights reserved.